Kim Kardashian Dating Kanye West! Kim Kardashian has a new man in her life: Kanye West! The two were spotted on a movie date last night in NYC, where they saw "The Hunger Games." See the photo here. Sources tell TMZ the two are "just starting" to see each other ... but it's pretty clear West has had feelings for her for a while. In his new song "Theraflu," he references Kim while rapping about ex-girlfriend Amber Rose dating Wiz Khalifa. 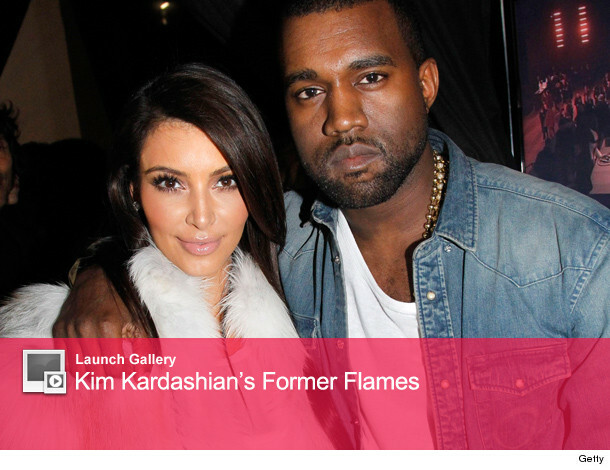 "And I admit I fell in love with Kim ... 'Round the same time she fell in love with him," he says. "That's cool, babygirl, do your thing ... Lucky I ain't had Jay drop him from the team." "Him" being Kim's ex Kris Humphries, who plays for Jay-Z's team the NJ Nets. Kanye is the latest famous conquest for Kim. Check out her former flames in the gallery above!